Normally vampires are all about chilling out, residing in dark castles, basically just laying in wait for their next victim... but as the Count you can be all about partying! Forget about spending the night in, you can make plans to Uber your way down from the secluded castle and hit all of the village's hottest clubs. When you're not out on the dance floor, you're sure to be out at the taco truck grabbing a bite and taking selfies with fans. 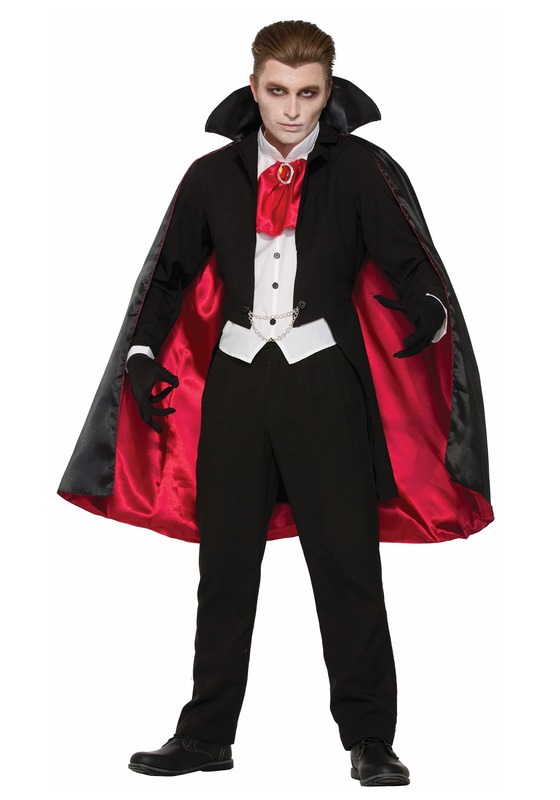 If that sounds like your kind of night, just outfit yourself with this The Count costume and be ready to live it up. This costume takes the classic vampire look and just rolls with it! The all-polyester construction means it will be a comfortable choice, and with a little bit of makeup you're going to have a Halloween look that will go down in the books as one of your all time favorites. Rock that cape like a top Transylvanian, and you'll be ready for all the costume partying you can handle. But if you happen to run into the real Count out on the street... well, just don't let him anywhere near your neck!